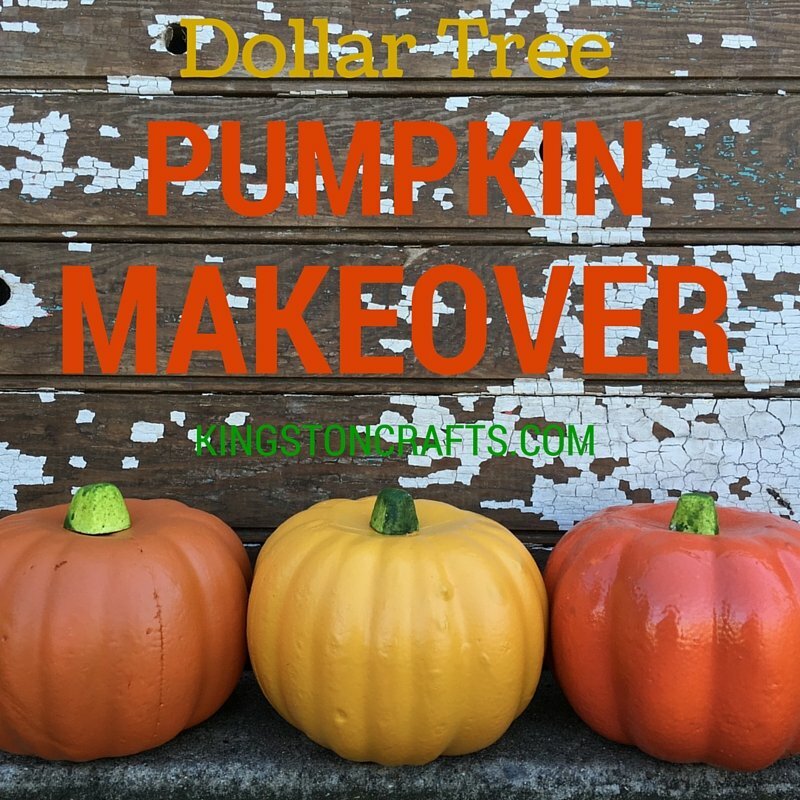 Learn how to transform an inexpensive Dollar Tree pumpkin into a fabulous Fall home decor piece, with just a few coats of spray paint! 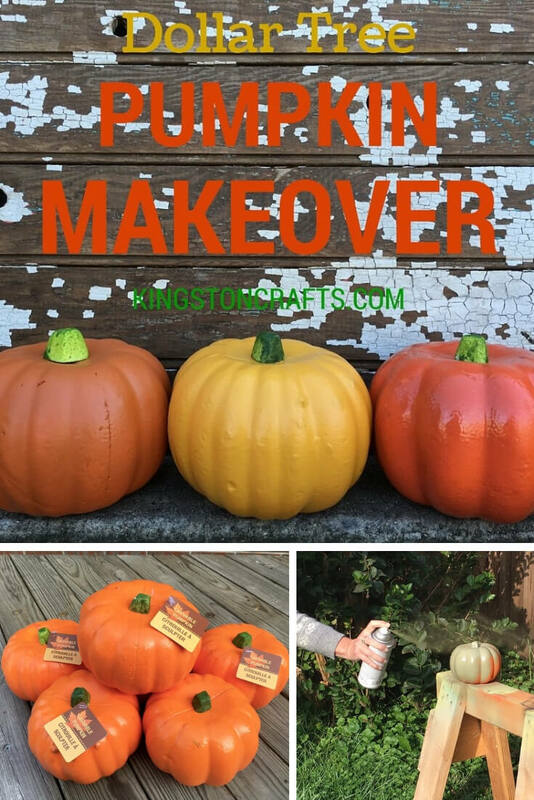 Remove tags from pumpkins and cover stems with painter’s tape. 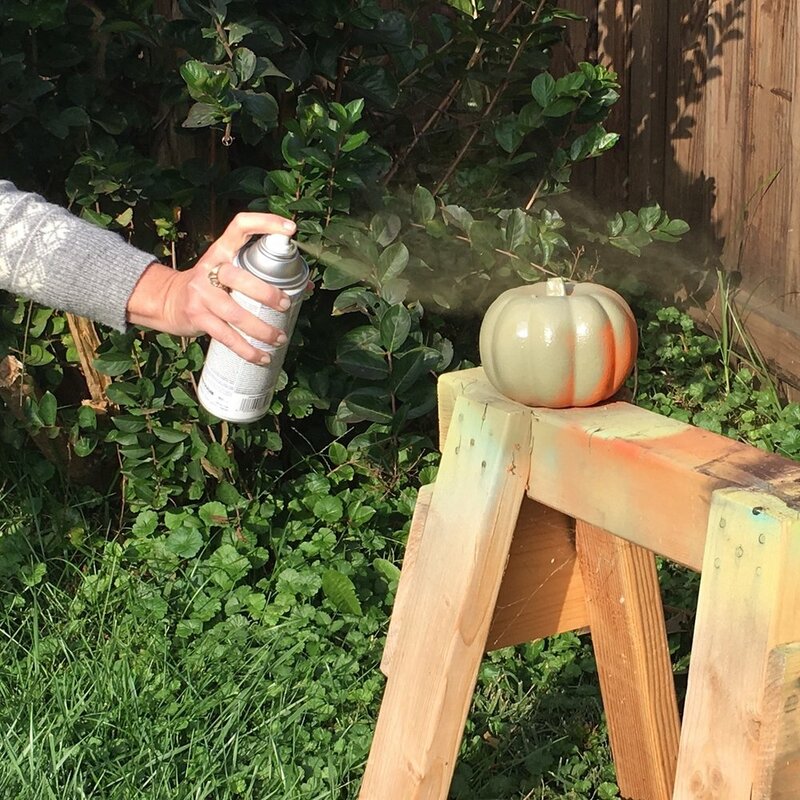 Use spray paint to cover pumpkins in assorted colors. 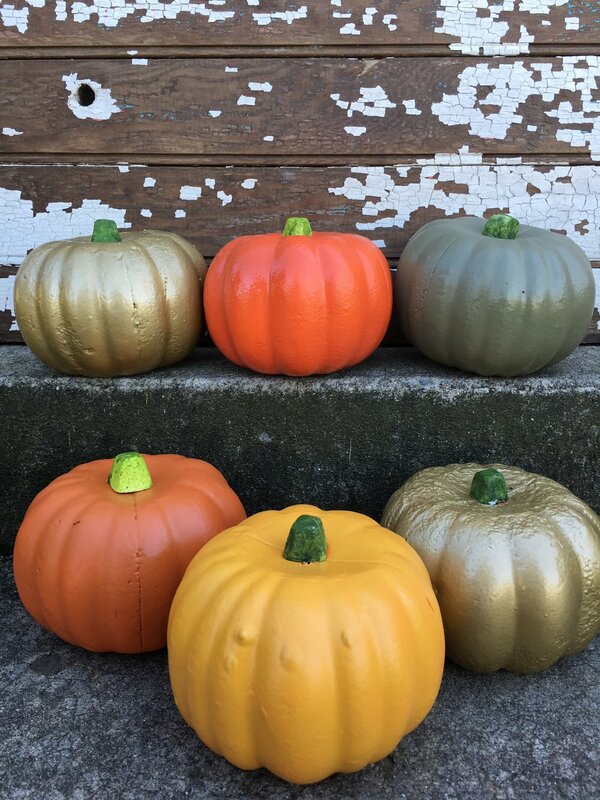 Warning – the gold paint (two different brands – I have a LOT of gold spray paint) seemed to eat away at the pumpkins…you can see if you look closely at the final photos. The non-gold colors worked like a dream! Let dry and remove painter’s tape. 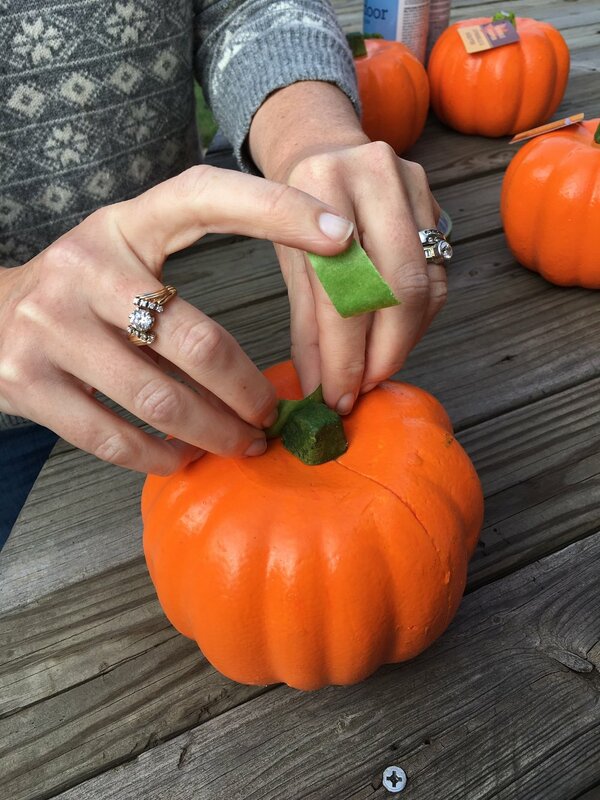 If placing the pumpkins outside glue a metal washer to the bottom of each pumpkin to give it some weight. 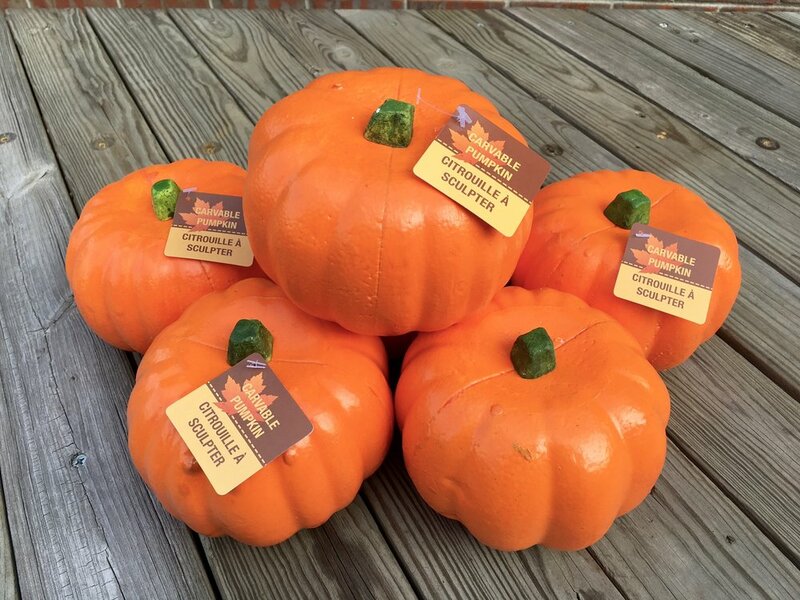 Add to your Fall display and enjoy! 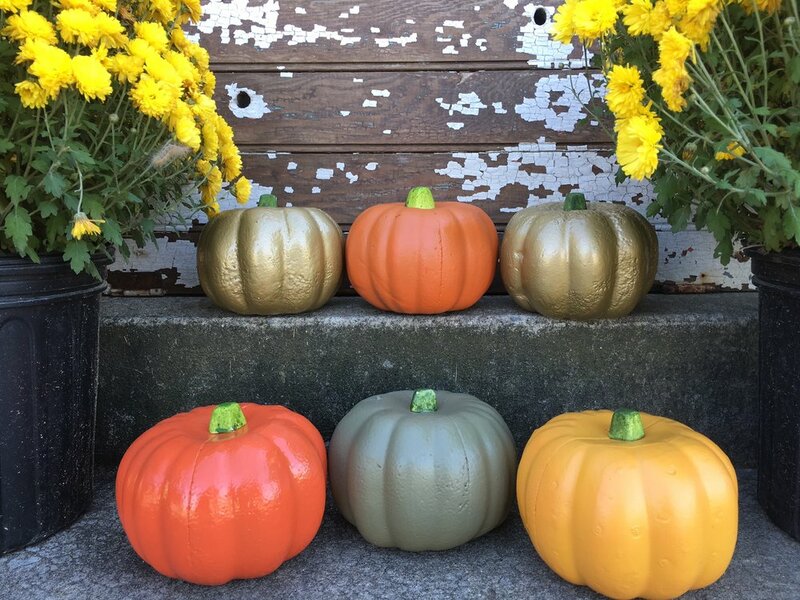 Note: these have been sitting out on our front porch for over a week – it has rained the past two days and they still look fab!